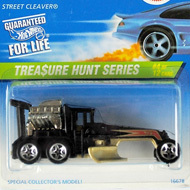 5/12 from the 1997 Treasure Hunt series. 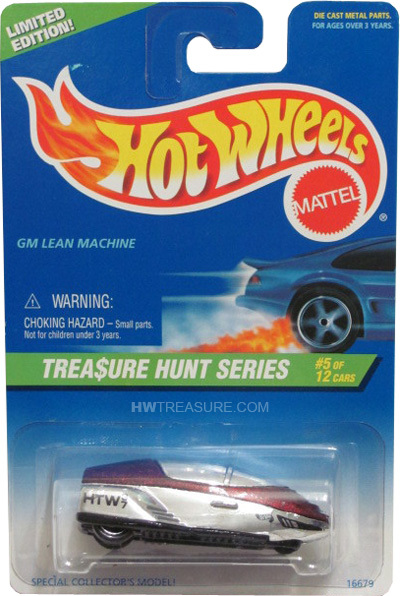 The top half of the Lean Machine has dark red metalflake paint and the bottom is chrome with the Hot Wheels logo and “HTW37” on the sides. 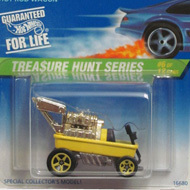 It has chrome windows, 5-spoke wheels, and a black Malaysia base.